Amish Poly Outdoor Furniture | Amish Originals Furniture Co. Looking for stylish furniture for your porch or garden? Amish Originals has you covered. Our Amish poly outdoor furniture is built to last. Standing up through all sorts of weather, our poly outdoor furniture will look good for years to come. What is Poly Outdoor Furniture? Made from recycled plastic, poly lumber is used in our poly outdoor furniture. Poly lumber has the flexibility of traditional wood without some of the downsides to traditional wood such as warping and cracking. This means that Amish Original’s Amish poly outdoor furniture would make a great addition to your porch, garden or patio due to its longevity. 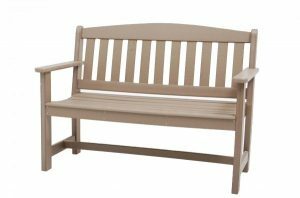 At Amish Originals, we are committed to providing our customers with the highest quality Amish poly outdoor furniture. Each piece is handmade with high quality poly lumber by Amish craftsmen in their home workshops. Our goal is to provide you with outdoor poly furniture that will be useable for many years whether you’re having a barbecue or just want to watch the sun set. We know the importance of being good stewards of the environment. Our Amish poly outdoor furniture is made from recycled plastics such as milk jugs and detergent bottles, the amount of landfill waste is lessened. In addition to being sturdy, it is also comes in a wide variety of colors that won’t fade. Finally, this furniture is easy to clean requiring merely a wipe down with a damp cloth. With all the advantages to Amish poly outdoor furniture there’s no reason not to see and experience it for yourself and Amish Originals is ready to help you. To learn more about what we offer and to view our selection, browse our site or check out our showroom in Westerville, Ohio. You can also contact us directly with any questions you may have. We look forward to hearing from you.